Scalloped potatoes A well-loved side dish for many years, this simple and classic scalloped potatoes dish by Women's Day is always met with claps and squeals of delight. The kids love it, too.... Potatoes. I had a craving for some scalloped potatoes, but wanted to be mindful of the recent pact with myself to practice this “ compromise and moderation ” thing. So I used almond milk instead of whole milk or heavy cream and low-fat cheese. Directions. 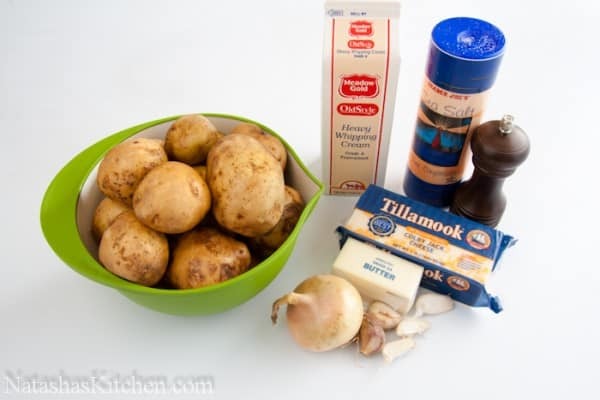 Start by slicing the potatoes about 1/8-1/4 inch thick. You may peel them first if you like. 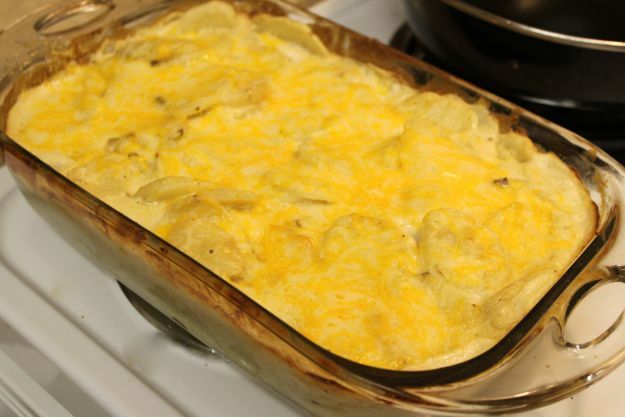 In a casserole dish, lay down a single layer of potatoes. 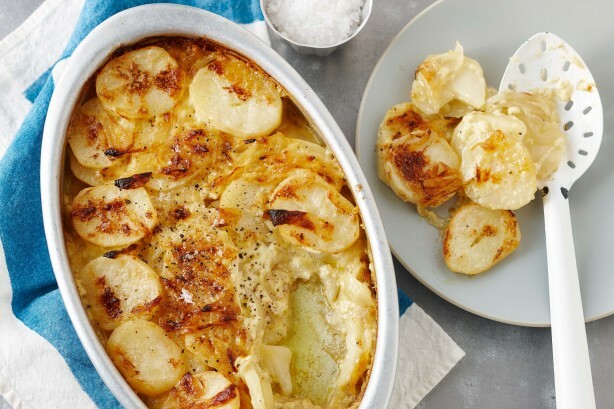 And the scalloped potatoes make a hearty main dish with the addition of cheese and diced ham or bacon. Consider the variations for some preparation tips, substitution suggestions, and ideas for add-ins. Place potatoes, onion and flour in a bowl. Toss to coat. Transfer to a 5cm-deep, 20cm x 30cm (base) ceramic baking dish. Combine milk, garlic and parsley in a jug. Pour milk mixture over potato mixture.